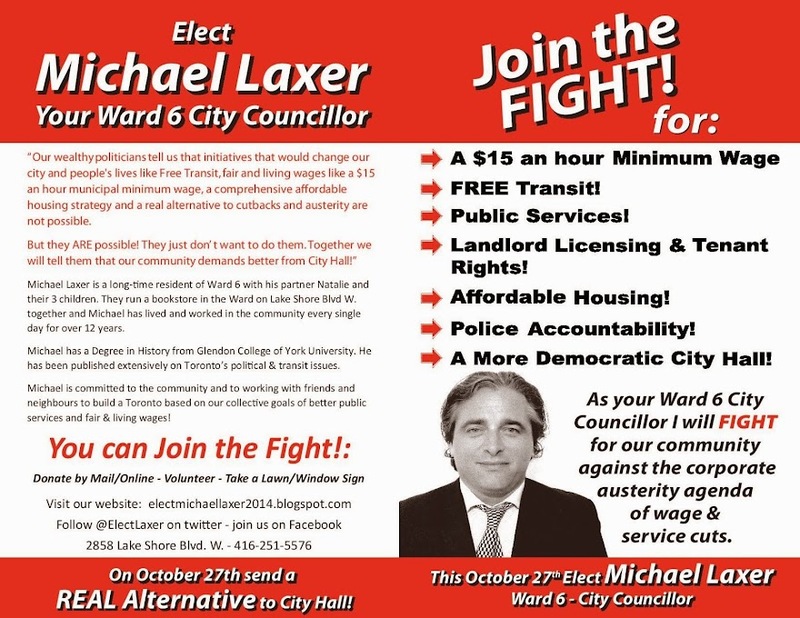 I need your help to get an anti-austerity agenda, that puts better public services, free transit and higher wages first, to every door in Etobicoke Lakeshore! Any resident of Ontario can donate, and is eligible for a rebate. Contributions may only be made by individuals, not corporations, businesses or unions. Or you can donate via Paypal or credit card by using the Donate button below.